A dual-action exfoliator formulated for sensitive and dehydrated skin that minimizes the look of fine lines, dullness and discoloration for a smoother, younger-looking complexion. 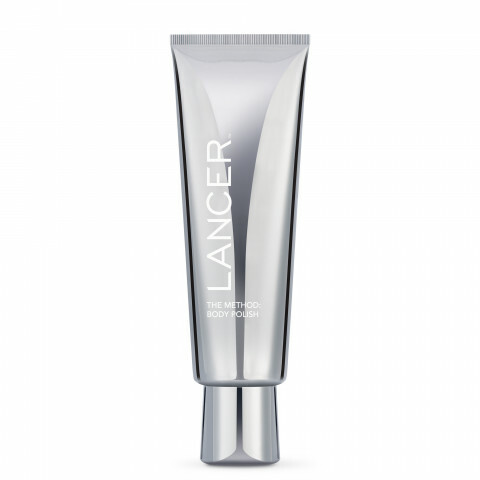 The first step in The Lancer Method, this resurfacing treatment targets the first signs of aging to reveal glowing, radiant-looking skin in one use. The advanced formula combines both chemical and physical exfoliants for exceptional results. Pumpkin and Pomegranate Enzymes gently loosen the bonds that hold dead cells to the surface, resulting in smoother, softer skin. Magnesium crystals, uniform in size and shape, slough off dulling surface cells, dirt and debris, helping to minimize the look of pores and fine lines while helping improve the appearance of skin texture and tone. Winged Kelp, rich in amino acids, antioxidants, vitamins and minerals, helps hydrate and leaves skin smooth, soft and refreshed. The secret to using The Method: Polish is to be very gentle. Let the product do all the work and use very little to no pressure when massaging the product over the skin for best results. If you are new to skin exfoliation or haven't done so for awhile, ease into the polishing routine by exfoliating every other day until your skin adjusts and work up to every day. I loved the product. I thought the coverage was lasting and complete. I bought this for having professional pictures made. I then lost the concealer at the time of my portrait sitting. My skin is sensitive and this product works very well without irritation. If you have sensitive skin, this is a worthy alternative to the original body polish. It is more gentle and still effective. I still think it's overpriced, but you get a decent amount of product and I like that it's in a tube. my sister has a very delicate skin, and i bought her this as a gift. and she loves it more than anything she ever tried before.